Now, when you look at this cake, you may think it is laden with added sugar, saturated fat, carbs and ingredients which are generally bad for your body. But what if I tell you that this cake is 100% clean and healthy? That it contains natural ingredients, at least two of your 5-a-day and is vegan friendly. You may think this is impossible...but I have a secret ingredient up my sleeve! Sweet potato is high in Carotenoids (to help ward off cancer and fight signs of ageing) and Vitamins B (known for heart attack prevention), C (which helps to absorb iron) and D (crucial for immune system health). They are a good source of iron (for energy) and magnesium (for anti-stress) and on top of this, contain slow-releasing sugars which keep you fuller for longer. So, without further a'do, here's the recipe! You Will Need: For the Base... Around 10 nuts (cashew/peeled almonds), 3 pitted dried dates, 1 tbsp oats, 1 tbsp raisins. 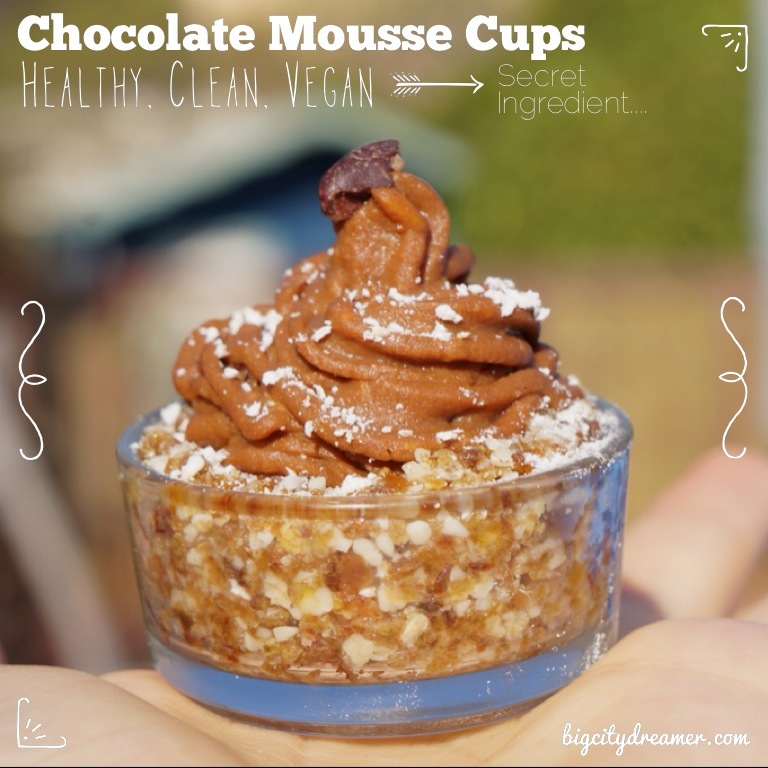 For the Mousse...1 small sweet potato, 1 heaped tbsp cocoa powder, 1 tsp grounded cacao nibs, 1/2 tsp vanilla essence, up to 1tbsp almond milk (for thinning consistency). For the Base: Place ingredients in a food processor and pulse to create the consistency shown above. Press into three small, short cups (5cm diameter) or a larger ramekin. For the Mousse: Prick the sweet potato and cook in the microwave for up to 5 minutes, or until soft. Peel the skin and scoop out the flesh. Place in a food processor along with the cocoa powder. Blend until a smooth paste is formed. Add vanilla essence and almond milk to thin the mousse slightly. Add the ground cacao nibs and mix in before spooning or piping into the cups. 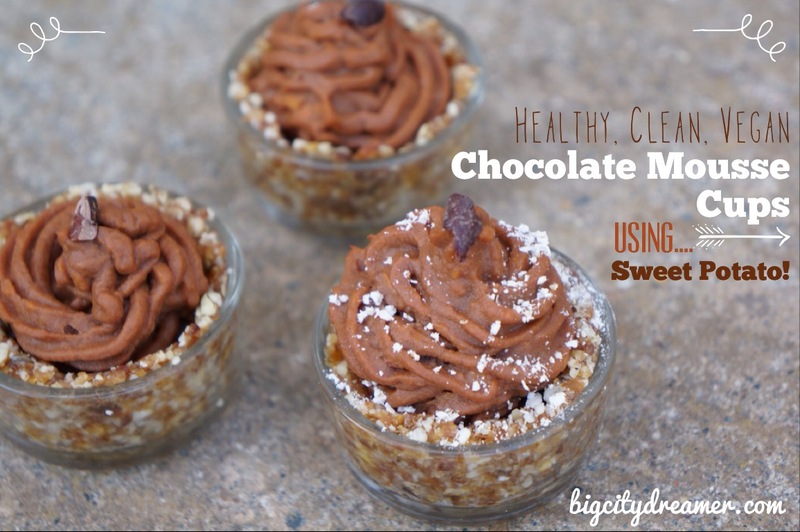 Top with more cacao nibs and ground oats, if desired. To make the base, place the ingredients in a food processor and pulse to create a crumbly consistency. Press into three small, short (5cm in diameter) dishes or a larger ramekin. 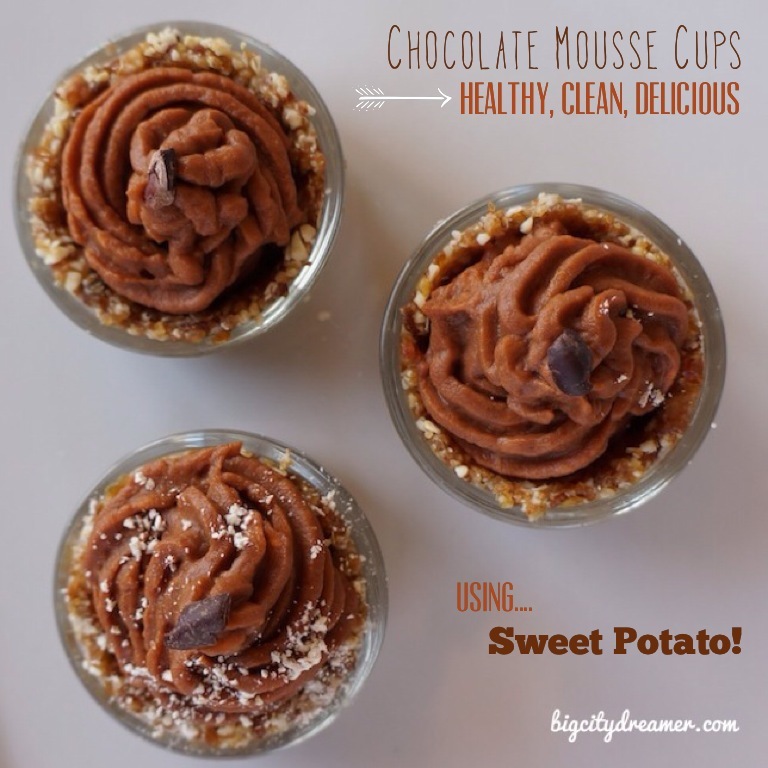 To make the mousse, prick the sweet potato and cook in the microwave for up to 5 minutes, or until soft. Peel the skin and scoop out the flesh before placing in a food processor along with the cocoa powder. Blend until a smooth paste is formed. Add vanilla essence and almond milk to thin the mousse slightly. 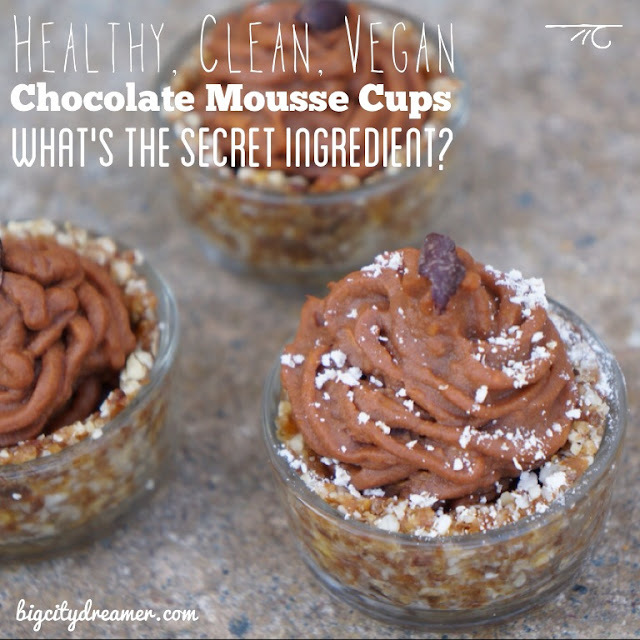 Spoon or pipe into the cups and top with cacao nibs. So, there you have it. A healthy but delicious chocolate mousse cake which can be eaten as a breakfast, dessert or snack thanks to it's sweet secret ingredient! Would you have guessed the secret ingredient? What's your favourite guilty treat? Maybe I can recreate that next! Sweet potato has always been nonsense to me. But your recipe inspires. I want to go for buying the right products and start cooking right now! Thank you for the delicious blog and such beautiful photos!